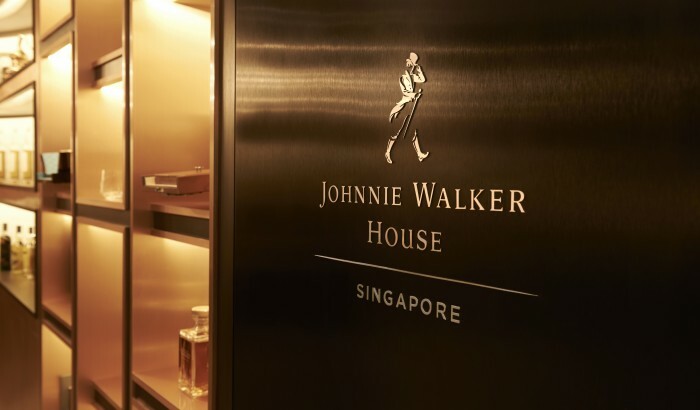 Having charmed whisky aficionados in China and Korea, Johnnie Walker House finally makes its debut in Singapore. 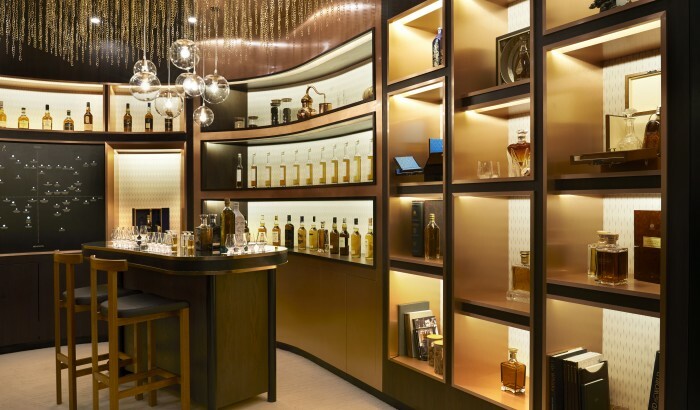 Carrying forth the immersive whisky experience that is synonymous with the House, we designed a sophisticated space that weaves together elements of whisky conversations, including the iconic Johnnie Walker Constellation Wall and John Walker & Sons Heritage Wall. 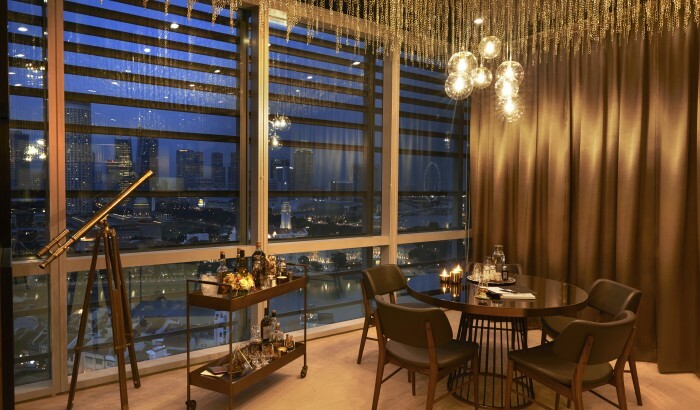 Overlooking Singapore’s spectacular skyline, the intimate space is adorned with a copper ceiling feature, poetically akin to drops of whisky. By incorporating materials related to whisky making, the resultant space sets a warm atmosphere for VVIPs to extend the whisky conversation.